Some tips you never want to miss out while looking to buy a highly pollutant free, extended life, labor saver and fuel efficient Burn-Off Ovens for different industrial needs. The aim of this article is to provide ACE customers with details on the energy –efficient range of Burn-off Ovens with One Touch Control Series. You will find the page useful as it contains information on the design, construction, and working of this model. Check out the recent developments for Burn-Off Ovens. Reduce the overall work load, time and expense with the highly efficient and effective ACE’s Item 0A-808 Fast Turnaround Kits. For more detailed information, here is the link. Provide us your application requirements by filling Quotation Data Sheet; we shall give you the best and appropriate Burn-out Ovens model. Here is a link that opens ‘Quotation Data Sheet’. 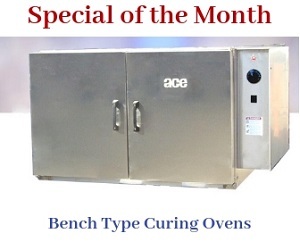 The table is for your reference when you are planning to buy ACE’s RKG Heat Cleaning Ovens series and RT Heat Cleaning Ovens series. Model numbers and respective specifications help you make an ideal selection. Here are some must know and basic information including significances and applications on ACE’s energy-efficient and high-performing Motor Stripping Systems. Here Mr. Dan Parson (EASA Travelling Chief) of AC Electric, Bangor, shares his views on better turn, highly-efficient and best-quality Hybrid Radiant Tube Oven System and RKG Model which are manufactured at the ACE plant.